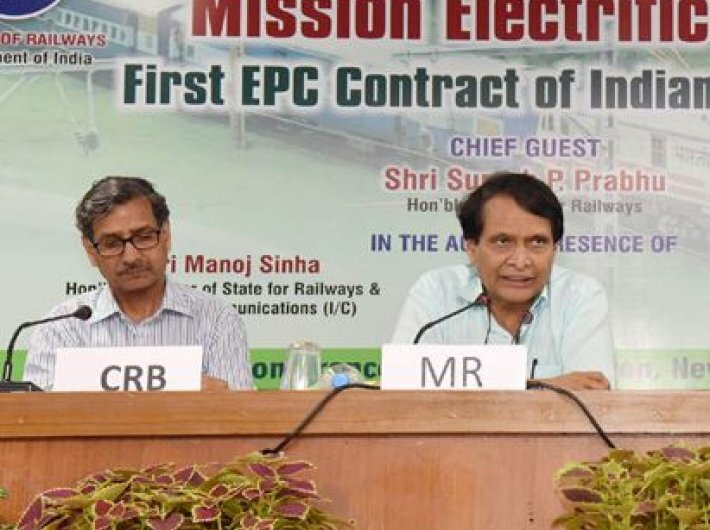 Railway minister Suresh Prabhu on Wednesday dropped a hint that he has offered to resign while Chairman Railway Board AK Mital tendered his resignation following two major train accidents. The resignation offers come just three days after three top railway officials were sent on leave after 23 people were killed when Kalinga Utkal Express derailed in Khatauli, near Muzaffarnagar. On Tuesday night, Delhi-bound Kaifiyat Express derailed near Auraiya after colliding with a dumper. Prabhu met prime minister Narendra Modi on Wednesday afternoon and tweeted: “Hon’ble PM has asked me to wait”, an indication that he wants to step down as the railway minister. Read: If Prabhu is really angry, why is he not taking on the railway board? Since morning, speculation was rife that CRB Mital had put in his papers. Official sources told Governance Now that Mital had met Prabhu and tendered his resignation. However, there was no official confirmation about the resignation. A 1976 batch officer of Indian Railways Service of Stores (IRSS), Mital had received flak over the train derailments.